Why You Should Have Your Carpet Professionally Cleaned in Erie, CO 80026. By Ken Strid, Certified Master Textile Cleaner and Owner of Cleancare of Boulder. Call us 303-530-0646. For more articles like this, click on Cleancare Articles. Top 10 Soils in Carpet. Can Your Routine Vacuuming Remove These? Some or all of these are in your Home’s carpet. ALL of these are in your carpet at work. Do you want them to stay there? The answer, of course is an emphatic, no you don't. Gum, oil and grease are sticky and attract other soils and are most effectively removed with a solvent based cleaning solution. Obviously, more than vacuuming is required. 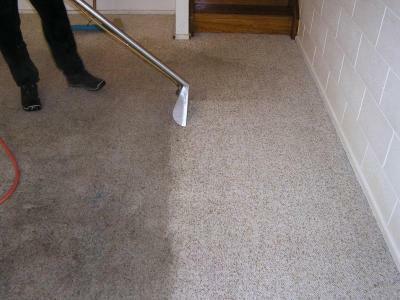 After solvents are applied to the soiled area, it must be flushed, rinsed and completely extracted from the carpet, or else such solutions will also attract other soils. Call Cleancare for thorough removal of gum, oil or grease. Dust mites, fleas, airborne carbon and automotive exhaust can be trapped in your carpet and then released into the air by Your foot traffic. These can be hazardous for those with respiratory difficulties and, at the very least, be a lung irritant to everyone else. Again, give us a call at Cleancare and our high powered system will eliminate these types of soils from your carpet and completely out of your home. And lastly, food and beverages are the origination of most spots in homes and businesses. The key is removing them as soon as possible before they bond to fibers and become permanent. And yes, permanence is possible and is why some spots become immovable stains. Ivory liquid, vinegar, isopropyl alcohol, “oxy” type cleaners and ammonia are great home remedies. And if you cannot remove the spots yourself, we carry an exhaustive supply of specialty spotting agents with us at Cleancare and can remove 98% of all spots you might present to us. Plus you get the benefit of truck mounted steam extraction for complete removal of unwanted materials. And, we’ll leave you with a free bottle of the greatest spot cleaner ever made, “Avenge”, for your future difficult spots and spills. Get a FREE Trial Room Of Carpet Cleaning, No Strings Attached!